The available 1.4L turbocharged engine gives you the perfect combination of efficiency and power. Sonic is a sporty, small car for those who want more than just a way to get around. With the available 6-speed manual transmission, you'll see up to an EPA-estimated 38 MPG highway. 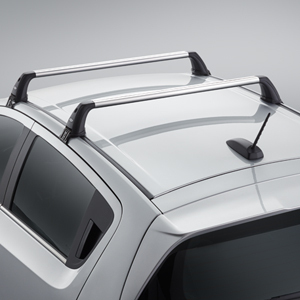 The Available Roof Rack kit for the Sonic Hatchback includes cross rails and all necessary mounting hardware to expand cargo capacity. Sonic offers available built-in 4G LTE Wi-Fi® connectivity through OnStar®. The powerful signal gives you and your passengers the ability to connect up to seven devices to the Internet, giving you the freedom to roam while connected. 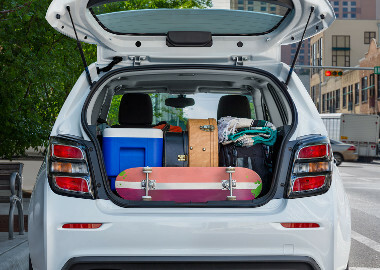 The OnStar® Basic Plan keeps you connected for five years. Turn your compatible mobile device into a command center for your vehicle. Start/stop your engine and lock/unlock your doors with the tap of a finger.